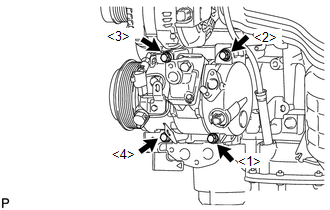 (a) Temporarily install the compressor and magnetic clutch and bracket with the 4 bolts. (a) Install the compressor and magnetic clutch and bracket with the 4 bolts. 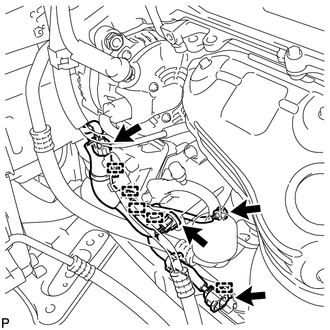 Tighten the bolts in the order shown in the illustration to install the compressor and magnetic clutch. 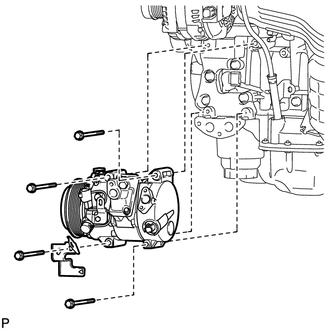 (b) Apply sufficient compressor oil to a new O-ring and the fitting surface of the compressor and magnetic clutch. 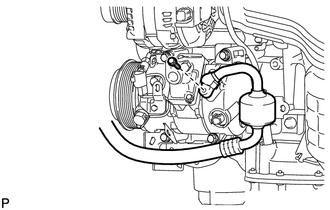 (d) Install the suction hose sub-assembly onto the compressor and magnetic clutch with the bolt. 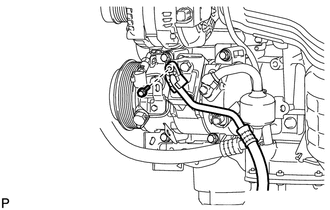 (d) Install the cooler refrigerant discharge hose onto the compressor and magnetic clutch with the bolt.